The control table with some of the materials required to run a Millennium Cup tie. You can download all the current Millennium Cup materials from the foot of this page. 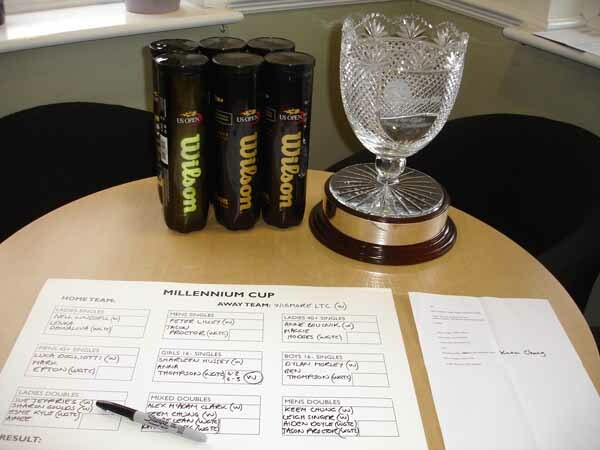 These materials are primarily used by captains and coordinators to help promote the Millennium Cup in their clubs and for the management of players and matches at each tie. The scoresheet should be posted in public view at the start of the tie and results with full results entered as matches are completed. The full match results also need to be emailed to the Administrator within 48 hours of completion of the tie.